Social media has become a must-have in the world of digital marketing, and making sure that you’re using these platforms in the most effective way possible is crucial for online success. We know about the tried and true classics that are necessary—Facebook and Twitter, to name a few—and those are still so important, but it seems like other platforms are beginning to make a rise in the world of online marketing, and Instagram is at the front of that charge. An image-based platform, Instagram gives you a chance to share amazing images from your phone—images you’ve taken yourself, and images from the internet—with amazing filters, editing options, and a large community to share it with! However, what’s the best way to go about interacting with our desired audience when we’re using it for marketing instead of personal enjoyment? How do we get their attention? Furthermore, how do we engage in a way that makes them want to do business with us? That’s where this amazing list comes in handy—with Instagram on the rise in the world of digital marketing, you need to make sure you’re using the best Instagram marketing tools to get the level of success you deserve. 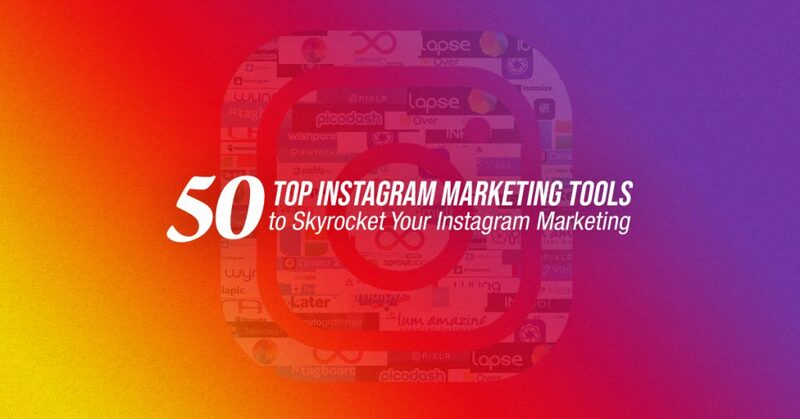 These are 50 of the very best; from photo editing software to analytics tools that allow you to keep track of what is and isn’t working on your account, these Instagram marketing tools will definitely change the way you use Instagram for your digital marketing. Let’s get started! With an easy-to-use interface and the option to use both on your desktop and from your mobile phone, Sprout Social is a social media management tool that brings you efficiency for a cost-effective price! Sprout Social allows you to combine your social media platforms into one place, giving you a chance to mass post and rearrange your content schedule freely without switching accounts over and over again! When using Sprout Social with Instagram, you can see specifically how people are interacting with your posts—which ones are getting the most attention, what topics people are gravitating to, and how many people are visiting your website through specific posts! With how interactive you can be, it’s easily one of the best Instagram marketing tools. An app paired with your mobile phone, Superimpose gives you a chance to edit amazing pictures for your Instagram account with ease, making it a must-have among Instagram marketing tools! Instagram is a picture based platform and making sure that you’ve got eye-catching images is extremely high on the importance list. Superimpose gives you that edge by allowing you to combine pictures together in a way that’s interesting and high-quality! To superimpose a picture means to take two pictures and combine them together through imposition. So, if you wanted, you could superimpose a picture of yourself to a picture of something that relates to your business—a computer, maybe, or something interesting! A social media planner that allows you to search via hashtags for popular user-generated content across Twitter, Facebook, and Instagram, Tagboard is a must-have among Instagram marketing tools. It’s easy to find the best content when you’re searching by category, and by finding out what’s sticking, you can apply those hashtags to your own posts, effectively putting yourself in the conversation! Additionally, you can share and interact with user-generated content with ease, making the process of engaging with your audience easier than ever! By combining your target audience with your own branded content, you’re accumulating relevant and quality content that’s sure to strike a chord! Picodash, previously known as Gramfeed, is one of the best Instagram marketing tools used to grow your presence and your brand. With options to export your followers—and the followers of your competition—Picodash lets you stay on top of your audience by giving you a chance to find the best influencers in your field through what they post, and how they’re posting it. By basing its roots in social media management, analysis, and research, Picodash gives you a chance to interact with people based on popular posts, both from yourself and from others in your preferred field of expertise. Another amazing social media management tool, Iconosquare allows you to monitor your Instagram account from anywhere, giving you leverage and intimacy with your Instagram analytics. From monitoring comments to see what people are buzzing about to scheduling content to post throughout the week, Iconosquare is among the best when it comes to Instagram marketing tools. Making sure that you’re posting content that keeps your customers happy is important when it comes to marketing, and Instagram lets you connect with them on a different level! By keeping track of your posts, and seeing how successful they are, you can ensure a sense of consistency and quality in the things you share. A one-stop shop for Instagram marketing tools, ScheduGram does it all in the best possible way! From tracking via hashtags to planning your content to ensure that you’re relevant, it’s easy to see why ScheduGram is a must-have when starting your journey into the social media marketing world. In addition to analytics and tracking, ScheduGram gives you additional perks, such as in-app photo editing! ScheduGram also comes with a “Regram” feature, which allows you to share other people’s content with ease on a website with minimal interaction like Instagram. Working with some of the top brands and agencies in the world has brought Wyng to the forefront of the digital marketing campaign experience, and it’s easy to see why Wyng is one of the best Instagram marketing tools you can and should be using to get your account off the ground. Wyng gives you a fast-paced campaign that kickstarts your brand! By staying on top of the best and trending topics, Wyng puts you at the forefront of the movement in your field of expertise, giving you an edge up above the rest from the get-go. Olapic is a multi-faced content curation application that allows you to find user-generated content from your best customers, as well as high-quality content from the top influencers in your digital marketing field. You can also create your own content from your assets and previous experiences, making it easily one of the best Instagram marketing tools. Analytics can help you predict and understand which content will achieve the most success, allowing you to choose the best of the best content to post to your account! By garnering customer interest based on what you’ve already curated, Olapic gives you care all around when it comes to your Instagram marketing campaign. Instagram marketing relies heavily on your ability to create images that are eye-catching, and that makes people want to engage with what you have to offer based on looks alone. That’s where Instagram marketing tools like Tiny Planet come in handy! Tiny Planet is a photo editing tool that allows you to put a creative spin on your photos, literally! By warping them into “tiny planets,” images that would normally seem bland are suddenly spun in a different direction, giving both you and your target audience a new perspective! Sometimes, you want to post more than one image to Instagram in order to really get your point across. However, having to slide through photos to understand the overall message can take away from the feeling of urgency that you want to create when you upload them. Layout solves that problem by easily combining multiple images into one photo! You can edit as much as you want — how they combine, the size of each one, and even light photo editing before a swift upload into Instagram! 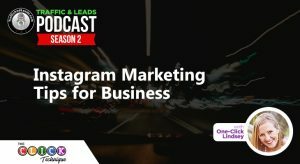 Using Instagram without Layout just doesn’t make sense, and that’s why it’s one of the best Instagram marketing tools you need to have. Another unique way to create amazing images by simply using your phone’s camera, Slow Shutter Cam gives you a chance to turn your smartphone into a professional camera! By enabling things like motion blur, time-lapse, and light trails, Slow Shutter Cam updates your creativity in a matter of moments, making it a must-have among Instagram marketing tools. Creating interesting images is half the battle when it comes to gaining traction on Instagram, and applications like this make it easier than ever to produce professional-level images with nothing more than your phone, and your fingers! Over is another amazing editing application that allows you to add professional looking filters, captions, fonts, and more to your images with ease! Since 2012, Over has made photo editing more accessible than ever with their mobile app, giving you the powers of Photoshop at your fingertips to create amazingly high-quality images! Having images that are not only high in quality, but full of valuable information is necessary when you’re building a presence on Instagram, and using effects that bring life to the picture is important. That’s why Over is one of the best Instagram marketing tools on the scene! Time-lapse is a visual concept that shows an image of something over time, like a rising sun or a sunset. Those type of pictures that catch nature in the moment make amazing images that grab people’s attention, and LapseIt is one of the best Instagram marketing tools to use to ensure that you use time-lapse to your benefit! By catching things in the moment, LapseIt gives you and your audience a look at anything you’d like in a quick glimpse—the top of a jump, maybe, or changing scenery at an important location. By using this mobile app to capture these images, you can easily upload them to Instagram without waiting, giving you an edge up with intrigue and excitement! Instagram functions in a similar way to Twitter, where hashtags attached to your pictures will trend into bigger topics, allowing people to see and search by whatever catches their interests and what’s relevant at the moment. Therefore, using the best hashtags that cultivate the most interest among your targeted audience is an important part of Instagram marketing. Hashtagify is one of the best Instagram marketing tools for that exact purpose! Hashtagify allows you to search hashtags to see what’s being posted in them, easily letting you compare content. Additionally, you can search for the top trending hashtags in use, ensuring that you’re putting the best of the best with the images you share. I’m sure you’ve seen these types of images before—they look like video, but they repeat themselves in a forward and backward loop, giving off a super cool effect! Those photos are created with an amazing application called Boomerang. An easy-to-use mobile app, Boomerang allows you to take a video that the app then converts into a moving picture! The picture can then be edited with filters and text, and uploaded to Instagram with ease, making Boomerang a must have among Instagram marketing tools. A mobile application with over 100 filters, over 40 visual effects, and fine-tuning editing tools that allow every picture to be of a higher quality, A Color Story gives you professional photo editing on your phone with simplicity and ease! Making sure that the images you’re sharing to Instagram are of the highest quality is important when trying to garner an audience, and A Color Story gives you a unique take on image editing with their amazing themes and effects, helping you stick out among the rest! With a chance to save the combinations you make as filters to use in the future, it’s easy to see why A Color Story is one of the best Instagram marketing tools. When uploading images to Instagram, it’s important to remember that Instagram has a specific shape that it adheres to—that of a perfect square. Therefore, pictures that are longer or wider will be trimmed when they’re uploaded, and for people who want to include everything in their image without a white border, it’s important to make sure that you’ve got the right dimensions. That’s where Instasize comes in handy—a photo editing app for your phone, Instasize allows you to upload your photos and edit them preemptively, saving you time in cropping and snipping out details that could be vital to the image! Easy to use and necessary for producing the best possible result, Instasize is certainly one of the best Instagram marketing tools. Another amazing photo editing app that you can use on your phone is Snapseed. By giving you a chance to give your images a makeover before tinkering with the filters that Instagram offers you upon upload, Snapseed offers you a chance to touch up the initial product before sending it out to the masses, making it important among Instagram marketing tools. With professional-level editing tools at the tips of your fingers, Snapseed is among the best when it comes to mobile photo editing! Snapseed gives you a chance to make your images top-notch with ease and makes sure that your finished product is of the best quality possible is important when it comes to Instagram and Instagram marketing. PicPlayPost does a little bit of everything, making it essential in your list of Instagram marketing tools. By using your videos, pictures, gifs, and live photos, PicPlayPost’s editing software combines them all for unique outcomes, giving you a creative edge against your competition! Instagram is image-based, which means having images that stand out from the rest can be hard among a batch of high-quality images. PicPlayPost gives you a chance to one-up everyone else by creating innovative photo slideshows and showcasing the best content you have to offer in a new and exciting way! 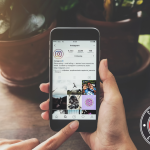 Making sure that you’ve got everything under control is important when it comes to social media, and 4kStogram is one of the best Instagram marketing tools for maintaining your account, and keeping track of what others post in the process. 4kStogram allows you to not only backup your Instagram account by uploading your shared photos to your desktop, effectively saving everything you’ve shared for reference and for posterity, but 4kStogram also allows you to save posts from your favorite accounts and your most interactive customers, giving you a chance to engage and create from the get-go! Another amazing social media management tool, HootSuite allows you to combine your social media accounts into one place, allowing you to keep an eye on your content without having one too many tabs open! HootSuite is easily a must-have on your list of Instagram marketing tools, as well as overall digital marketing tools. Sharing the same content in different forms across your social media accounts is common in social media marketing, and seeing which topics are working on what platforms can help you narrow down what you share and where you share it! For example, your Instagram audience might respond better to photos that relate to articles you’ve written, and driving people back to the original link through interesting images could help you seal the deal. A lot of social media management tools combine all of your social media accounts in one place, but AutoGrammer focuses specifically on your Instagram account! From scheduling posts to combining all of your Instagram accounts into one dashboard, AutoGrammer is a must-have among Instagram marketing tools. AutoGrammer comes equipped with everything you need to take charge of your Instagram account! With a photo editing system that lets you tweak and improve your pictures before uploading them, as well as an option to bulk upload images you’ve been saving, AutoGrammer makes keeping tabs on your Instagram account easier than ever! Another amazing management tool specifically designed for Instagram is Later, formally known as Latergramme. Later gives you a chance to visually create a calendar for your Instagram content, scheduling and organizing images based on when you’d like to post them, and the content they represent! In addition to a visual approach on the organization, Later also offers you top-notch analytics and strategies, making sure that what you’re posting is giving you results in the best way possible! Join the top Fortune 500 brands in the world by using one of the best Instagram marketing tools in the game. Can downloading a camera application for your phone really improve the quality of the pictures you take? Absolutely! Camera+ 2 was built on the foundation of Camera+, and is designed to turn your smartphone into a high-quality camera in a matter of seconds! Taking pictures becomes easier and smoother with tuning and focusing options, and photos can be easily browsed in Camera+ 2’s lightbox gallery! From there, you can tackle one-touch picture editing to bring your photo to life, making even the simplest of snapshots worth sharing quality content! Anything that improves the quality of the photos you take is surely among the best when it comes to Instagram marketing tools. Piclab combines a multitude of photo editing software tricks to give your images a fresh new look that makes them stand out from the rest! With fancy fonts, unique overlays that cause amazing effects, and clippings from magazines that enable amazing collages, Piclab is simply one of the best when it comes to Instagram marketing tools. Additionally, Piclab has an entire array of fun stickers and artwork! Turning your photos into something eye-catching and amusing is an easy feat when you’re given so much room to work with and let your creativity shine is a surefire way to engage with your audience in the best possible ways. One of the best Instagram marketing tools as well as of the best overall digital marketing tools is Locowise. Consider it a giant hub for all your analytics needs combining in a way that gives you the most important information and feedback. Along with what you’d usually receive when it comes to analytics, Locowise also offers you insights into things like optimal time of day to post your content, showing you your top-performing posts, and rankings of your posts compared to those of your competition! Pic Stitch is another amazing mobile app that helps you post multiple pictures to Instagram in one, easy collage! Pic Stitch allows you to arrange any photos you want in a wide variety of filters—from borders to patterns, and anything in between, Pic Stitch makes sure that your photos creatively stand out among the rest. It’s easy to use, and the way Pic Stitch saves your photos to make a quick upload to Instagram even better! Make sure you check out the fun filters and stickers you can add to give your photos a theme, and implement your imagination immediately with one of the best Instagram marketing tools! For those looking for a more artistic approach to the things that they share on Instagram, Enlight is an amazing mobile app that lets you become a graphic artist! Among the best Instagram marketing tools, Enlight invites you to get creative and gives you a space to create eye-catching and intriguing images that are sure to get your name on the board. With filters and options to turn your real photos into a painting—as well as amazing overlays and unique fonts that turn even the most basic of images into a piece of art—Enlight gives you the power of professionals at your fingertips. Making sure that the fonts and texts you use when adding words to your photos are the best of the best is important, and one of the best Instagram marketing tools you can be used to ensure that you’re getting the most effective results is Font Candy. Font Candy is an easy-to-use mobile app that lets you upload pictures instantly from your photo library! Font Candy allows you to choose from a variety of fonts, as well as add effects like outlines, shadows, alignment, and size! Choosing the best aesthetic is imperative to people clicking on your photo, and finding the best creative match makes the job easier. Being able to share content across all social media accounts at the same time is an added perk of social media marketing and management, and Crowdfire is one of the best Instagram marketing tools that use that exact function to bring you the best marketing results! By syncing up your accounts, you can share content posted to your website on your social media platforms, too, with a simple click! Additionally, you can tailor the posts you’re making on your social media accounts to ensure that the formatting is the best for the account you’re using! Top it off with top-notch analytics and pre-scheduled content, and it’s easy to see why Crowdfire is among the best. One of the main reasons we share content on social media is for the social aspect of it, of course. Making sure that we’re producing valuable and educational content for our target audience and customers new and old, ensures us that we’re on the right growth track. 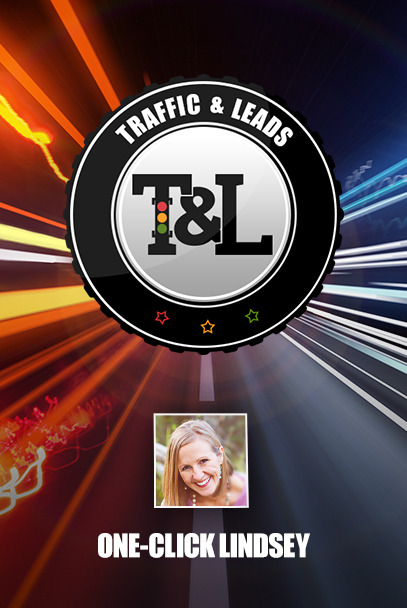 One of the best Instagram marketing tools that help this process is Social Rank! Social Rank pulls your followers into one place and organizes them based on how often they interact with the content you post, and the people that are the most dedicated to your brand and your business! With an easy-to-use interface and a multitude of ways to arrange the people that mean the most to your business, Social Rank is a must-have! Eye-catching images are all about how they stand out, and bright colors and patterns do wonders for grabbing our attention. 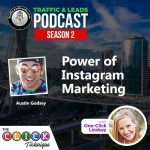 On a place like Instagram where photos are the main focus, having an app like Rhonna Designs is one of the best Instagram marketing tools and strategies you can be utilizing. Rhonna Designs brings together some of the best aesthetics that you can use to improve your already amazing photos! Metallic overlays shine and shimmer, and designer graphics that you can implement into your work brings a flavor of professionalism to your best images! An easy way to maintain consistency with your content is making sure it’s scheduled to post throughout the week, and OnlyPult is one of the best Instagram marketing tools that makes scheduling posts to your Instagram account easier than ever. OnlyPult lets you upload photos directly from both your phone and your desktop, giving you a chance to edit and tweak as much as you’d like before uploading content you’re happy with! Additionally, OnlyPult gives you analytics to track as your posts are shared, making it easy to keep track of what’s working the best and how your account is doing. Ink361 gives you the best all-around look at your Instagram account—from analytics to post monitoring and actionable insights that help you grow and expand your business and account. Ink361 is easily one of the best Instagram marketing tools you should be using! A multi-faceted social media management hub, Ink361 gives you the best coverage for your Instagram account. You can connect and create circles for all of your accounts, making it easy to keep tabs on everything you’ve got going on. You can also monitor your competition and watch analytics as you engage with your audience in ways that you’re sure will be effective! Like Twitter, Instagram shares your photos and posts through hashtags. Therefore, you want to make sure that the hashtags you’re using are not only relevant to your business but are bustling with traffic that will get the right people to click through. That’s where one of the best Instagram marketing tools, ViralTag, comes in handy! ViralTag makes it easy to bulk upload visual content that you intend on sharing across multiple platforms! Once the photos are settled, you can also go through and personalize each caption and make sure it’s suited for the site it’s being posted to! Communicating with the top people in your field makes growth easier, and Klear is one of the best Instagram marketing tools to use when trying to connect with influencers across all social media platforms. When you create a profile, you can easily search through influencers and filter them by social media platform, bringing you to their technological front door in an instant! Once you know who to talk to, starting the conversation becomes easier, and contacting and connecting with those people is one of the most important steps in spreading your brand to a wider audience. Advertised as “the one-stop shop for all Instagram marketing needs,” Vibbi is a must-have among your Instagram marketing tools. With 3 main steps to promote organic growth for your account, the Vibbi team works hard to bring you the best results from real people, ensuring that your account is an overall success! Step one revolves around promoting your brand, regardless of how big or small your business may be. Step two is about your content and making sure that the wonderful things you create and share are protected, and step three lets you keep up to date about any changes in the algorithm, ensuring that you’re always one step ahead! Getting people to visit your website through your Instagram posts is important for growing your business, and TapShop closes that gap with ease by being one of the best Instagram marketing tools for your business, and for your eCommerce store! TapShop turns your photos into a store, making it easy for people to click through and make a purchase with ease! TapShop makes it easy to drive traffic back to your website by establishing a crucial link between your store and your account, and your photos serve as the advertisement that cultivates an amazing buyer audience! An extension of Buffer, Pablo is an online photo editing service that allows you to create professional and engaging photos in just a matter of seconds! With an easy-to-use interface and a variety of options that make your photos pop, Pablo is a must-have among Instagram marketing tools. Edit your photos by adding unique fonts, interesting backgrounds, and size! Or, create amazing images from the ground up with a search bank of over 600,000 images! Make posting content easy and hassle-free with Pablo. An easy way to create infographics, posters, and presentations for your business, Piktochart gives you the definition and detail of a high-end design service without the price or the hassle! By using a variety of templates readily available, Piktochart is easily one of the best Instagram marketing tools. Sharing information is important, both for you as a business and for your audience to take in. However, making sure that the information is being presented in a way that’s interesting and suitable for a visual platform like Instagram is just as important, and Piktochart helps you establish that pattern with a large range of templates and designs. A photo editing app that you can use both on your smartphone and on your desktop, Pixlr gives you professional-level photo editing effects at half the price! With an enormous supply of filters, patterns, effects, and designs, Pixlr is a must-have on your list of the best Instagram marketing tools. Whether you’re looking for simple tweaks to perfect your amazing photos, or you want to give your images a makeover with some effects and highlighting, Pixlr is one of the best photo editing application to use, both on the go and at your desk! When creating original content, it’s important that people make sure you’re the point of origin. Especially in a day and age where things can go viral very quickly, you need to make sure that your content is protected, and that’s where iWatermark comes in handy. iWatermark is among the best Instagram marketing tools, and it’s easy to use when you’re finishing off your editing touches. iWatermark creates a watermark for your business or brand and adds the watermark to images you plan on sharing. That way, when people start to curate what you’ve shared, you can rest assured knowing the image can’t be claimed or stolen. For people trying to sell their services and their brand through visuals, Instagram is the best place for them to get their footing, and services like FourSixty are making it easier than ever to turn your Instagram account into a shoppable gallery of products for your audience to view! One of the best Instagram marketing tools, FourSixty is focused on making sure that your brand is professional, sleek, and easily accessible. As a business owner, you can rest assured knowing that your Instagram account looks and feels the way you want it to. A photo editing app that you can take on the go, Prisma is used by people all over the world to turn their photographs into paintings with stunning visual effects and networks that detail your images the way you want them to, making it among the best when it comes to Instagram marketing tools. Getting new and unique edits on photos makes it easier for you to catch the attention of customers new and old, and editing software that transforms photos like this also makes content easy to recycle and reuse, giving you more bang for your buck! Image-based websites are often easy to build a foundation on with things like contests, and Wishpond can make your first foray into the world of Instagram contests easier than ever! By focusing on the multiple facets that make Instagram work so well, Wishpond can expand your reach and growth with ease, making it one of the best Instagram marketing tools. These contests can be designed by and for you, keeping it relevant to your business and services. Additionally, contests invite a ton of engagement with your audience—whether the contest is image based, caption based, or hashtag based, you’ll be interacting with new and old customers, giving you a great chance for expansion. An amazing one stop shop for your Instagram marketing tools, Plann makes it easy to schedule content, view analytics, and plan your account’s aesthetics in one easy-to-use place! The best part? It’s a mobile app, allowing you to take charge on the go without worry or hassle! Plann works in a very visual way—uploading images are easier than ever, and rearranging the content you want to share by dragging and dropping it into place gives your schedule a sense of relaxation. Additionally, you can review your best performing content, making it easy to see which direction your images should be going in for constant growth. Being able to search for specific content and specific people on Instagram makes creating content for those people easier, and Muplix is the premiere Instagram search engine that allows you to find these people with keywords, caption ideas, and locations! One of the best Instagram marketing tools, Mulpix allows you to find people based on the content they’re sharing and the interests they have. For example, Hashtags are an easy way to connect, and by finding out what people are using, you, in turn, can use them for your own posts! Recently acquired by SproutSocial, SimplyMeasured makes tracking analytics on your Instagram account easier than ever. With actional results that let you listen in on the conversations that your customers are having in the comments section, SimplyMeasured allows you to get deep insights, making it one of the best among Instagram marketing tools. When you can listen to the conversations that take place around your posts and your content, creating content in a similar vein becomes easier! SimplyMeasured offers a variety of ways to stay connected, making the curation and creation of content that’s sure to be shared better. Advertised as social commerce made easy, Showcase is a free software that allows you to turn your Instagram account into a shoppable experience! By turning your photos into amazing advertisements for your products, you can enable people to buy your products from your Instagram posts, making it a must-have when it comes to Instagram marketing tools. By allowing you to give people the chance to buy directly from you and from your post, Showcase turns your Instagram into a mini eCommerce store! Showcase allows you to not only advertise your products creatively but to also drive traffic while getting sales in the process! Making sure that you’re in control of your account is vital when it comes to your Instagram and Instagram marketing tools. Hopper is one of the best when it comes to organization, allowing you to schedule content on the go in order to post consistently, and giving your account a healthy amount of interaction! Additionally, Hopper also combines itself with the applications that already come with Instagram itself, making integration of posts and content easier than ever. Make sure you’ve got yourself organized, and check out why Hopper is among the best. You might be in 30 Best Pinterest Marketing Tools for Businesses and Marketers. And… that’s all she wrote! I know, it’s a lot, but the Instagram marketing tools mentioned above can all help your social media marketing game. By making sure that your photos are the best quality possible, these amazing social media marketing tools can help you expand your reach organically, grow your store, and engage more people with your brand, causing more traffic to flow back to your website based on stunning visuals alone! So long as the images and photos you’re producing are images that you know you can be proud of, we can guarantee that tweaking and share to the right people will certainly help your overall marketing campaign.